The Powerhouse is a 10 module 500 series power-rack designed to accommodate both older and newer 500 series modules and provide the studio with maximum density in a standard 19″ rack frame. The design begins with heavy 14-gauge steel construction and durable powder coat finish for maximum shielding against noise and greater durability when subjected to road use. An 'easy glide' slider tray makes it painless to align the PCB connector to the 15 pin card edge receptacle when swapping modules. 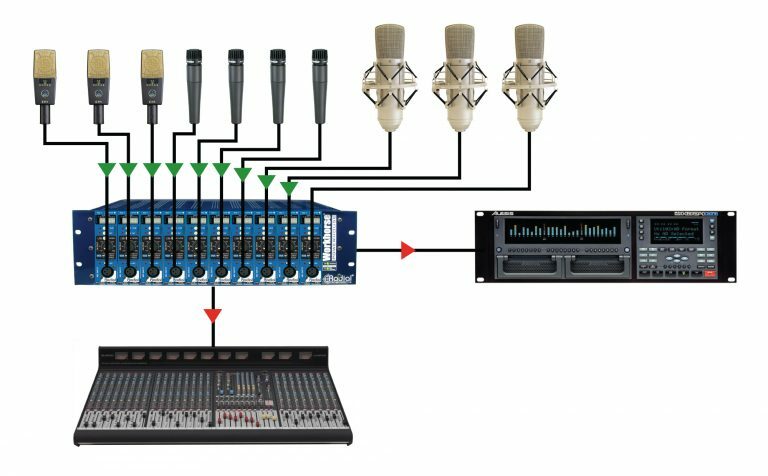 Once connected, the rear panel sports a standard array of XLRs to connect to and from the workstation or mixer. This is augmented with a series of ¼" TRS connectors that enable cross-patching and open the door to the excitement of parallel signal processing. 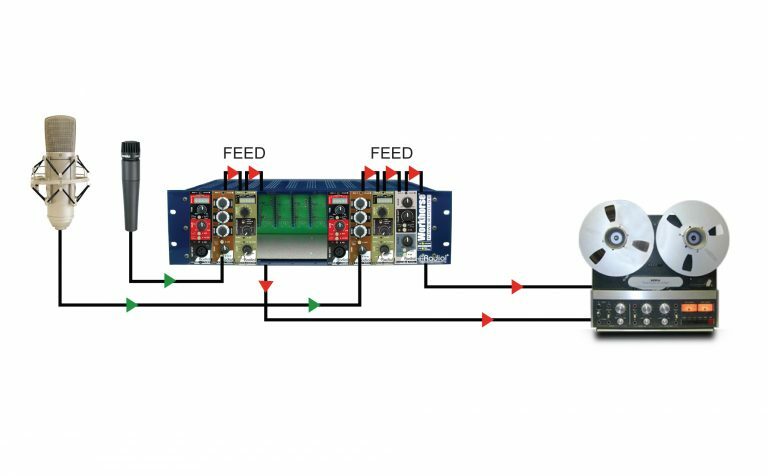 Instead of having to hard patch modules together using a cable, the Powerhouse incorporates an innovative feed switch that instantly connects the signal to the adjacent module. This makes building signal chains quick and eliminates the need for extra cables. 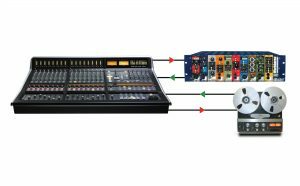 And unlike older racks that require soldering when modules are used in stereo, the Powerhouse is equipped with a stereo link function that takes care of the task with a simple slide of a switch. Unlike older racks that are limited to an average of 130 milliamps per slot, the Powerhouse boasts a 1600 milliamp power supply that lets you share the power as needed. This means it can deliver 300 milliamps to your two tube preamps and still have over 1000 milliamps left in the pool! 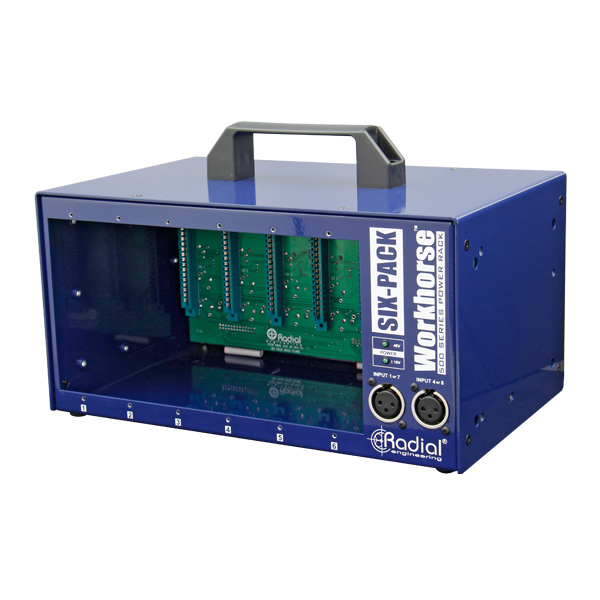 And just like all Workhorse racks, the Powerhouse is equipped with extra safety features to ensure safe use when mixing and matching various brands. The Powerhouse houses 10 modules in a compact 19" rack space, making it ideal for use as a side car to house various effects and dynamic processors. 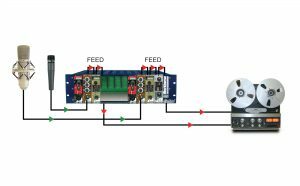 Simply wire to your patchbay and enjoy the convenience, power and flexibility of the 500 series format. 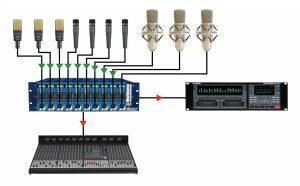 Live recording is best achieved by using separate preamps for each microphone and instrument. 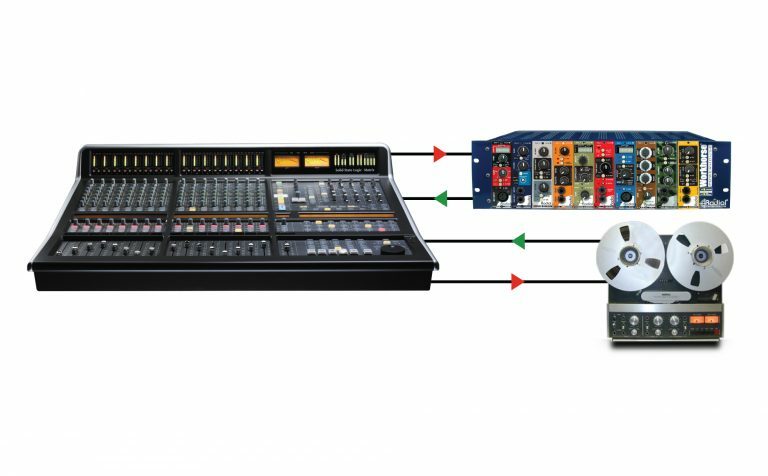 Combine Radial PowerPre mic preamps and Radial JDV-Pre instrument preamps to record pristine audio tracks and then split the output to the house mixer and PA system. Combine your favourite sounding preamps, EQs and compressors to create the ultimate stereo preamp. With 1600 milliamps of current, you have plenty of power to keep your tube preamps happy! Add in a PhazeQ and be prepared for realism like you have never heard before! 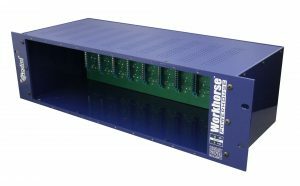 "The Powerhouse is exactly what it needs to be, a bulletproof housing for any and all of my 500 series units"
The Radial Workhorse is an 8-slot 500 series power rack with a built-in analog summing mixer, headphone amp and extensive patching capabilities. 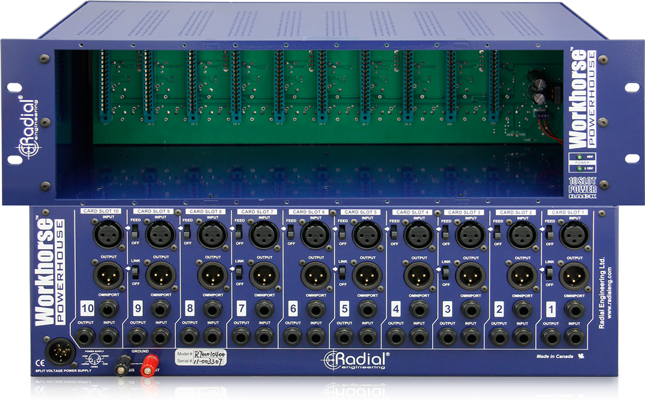 The Radial WR-8 is an 8-slot power rack that lets you load up to eight 500 series modules. Can be expanded with the WM8 mixer for full Workhorse capabilities. 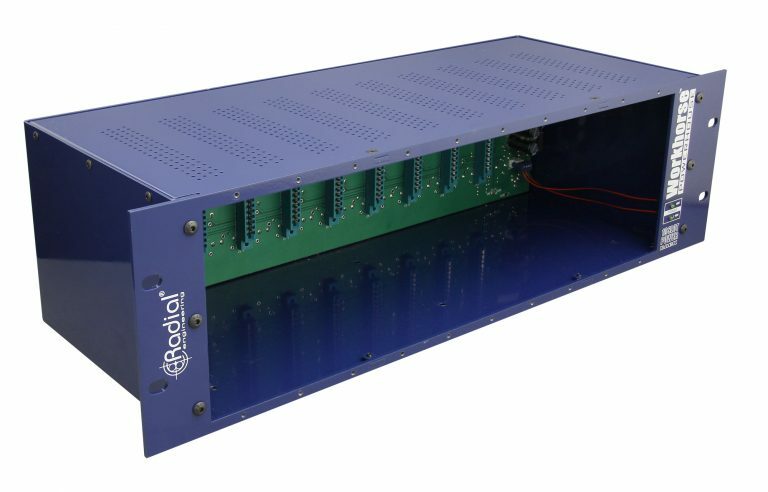 The Radial SixPack is a desk-top 6-slot power rack for the popular 500 series, designed to create the ultimate channel strip with 1600 milliamps of available current. The Radial Cube is a desk-top 3-slot power rack for the popular 500 series, designed to create the ultimate channel strip with 500 milliamps of available current. The ThumbSet screws feature a perfectly sized thumbscrew head for easy mounting without the need of a screwdriver. The Radial Duo filler panels will keep your Workhorse safe from dust and other contaminants. The Radial Solo filler panels will keep your Workhorse safe from dust and other contaminants.